A Milan museum is telling the story of Italian Baroque painter Caravaggio - but without paintings. 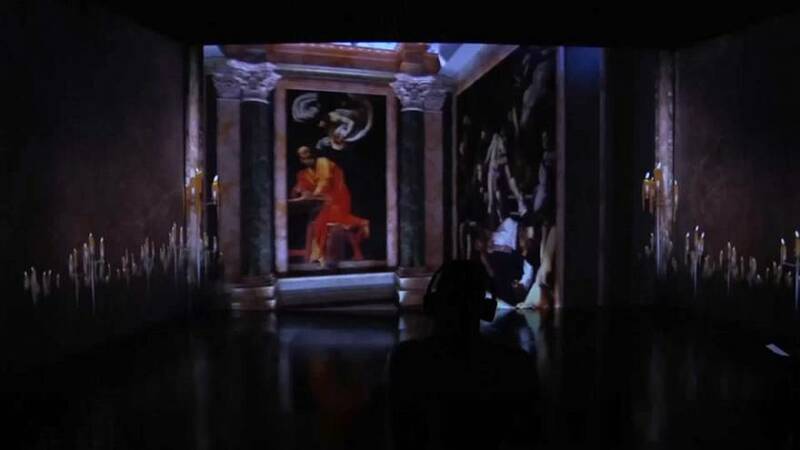 Instead it offers an immersive experience for new audiences, using sound and high-definition video. The exhibition runs in Milan's Museo della Permanente until the end of January. Caravaggio is remembered for revolutionizing the history of painting by representing reality in an unscrupulous manner. His dramatic paintings are noted for the illumination of his subjects against dark backgrounds and his realistic depictions of people, often based on live models. Caravaggio distinguished himself from the great Renaissance masters Michelangelo, Leonardo Da Vinci and Raffaelo with his powerful use of light and dark, known as chiaroscuro, that emphasises the drama and the action of his painting, and the stunning realism.